Tehran’s participation in production freeze talks is not crucial, as it won’t be able to significantly increase output without foreign funding, according to Lukoil Vice-President Leonid Fedun. The ‘catch-22’ is that Iran can’t boost oil production without investment, and can’t attract investment with oil at a low price. “Iran will not be able to seriously increase output without major foreign investment. Also, Iran's domestic demand is very high; this is a highly populated country. Well, they can add 300,000-400,000 barrels to the market, which is minor and is more about speculation," Fedun told the TASS news agency. Fedun has said Lukoil isn’t ready to invest in Iran, as “at current prices, no major oil company will go there even for the most attractive reserves”. In February, Iranian Oil Minister Bijan Zanganeh said the industry will need $200 billion in investment to reach its development goals. Zanganeh also said Iran intends to boost production to the pre-sanctions level of four million barrels per day from the current 2.8 million bpd. However, OPEC Secretary General Abdalla Salem el-Badri said the production freeze talks scheduled for April 17 may be successful even without Iran’s participation. Iran is now in typical ‘catch-22’ situation. It needs higher crude prices to attract investments to its oil sector, but Tehran further increasing production is highly likely to push down prices already unattractive enough to attract capital. 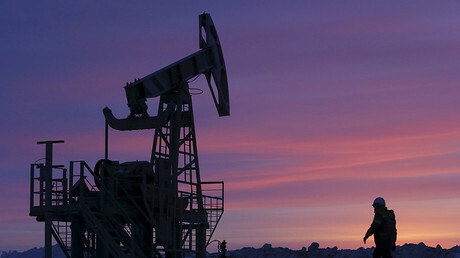 Oil prices were on the decline on Thursday with US WTI and Brent benchmarks trading below $40 per barrel, down from nearly $42 on Tuesday.